Our Amsterdam guided tours are all tailored to suit each booking we do not allow for bookings to be joined. 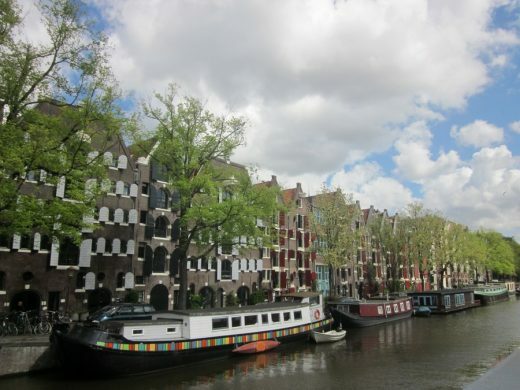 Our guided tours in Amsterdam are all exclusive to each client. Should you be planning a conference, an office trip, or university trip in Amsterdam please contact us and we would be happy to take your booking. Amsterdam is the largest Dutch city and the capital of The Netherlands. It is located roughly in the centre of the country, close to the North Sea. The city has a wealth of good contempoary architecture, all possible to visit on our Amsterdam Architecture Tours. 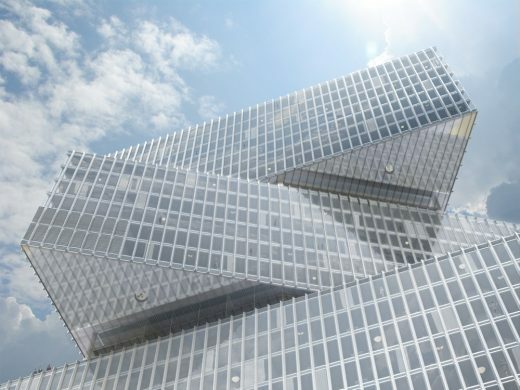 Famous architects with buildings in the city include OMA, Kisho Kurokawa, Gerrit Rietveld, Aldo van Eyck, MVRDV, Mecanoo architecten, Renzo Piano Building Workshop, UNStudio, Delugan Meissl and EMBT. 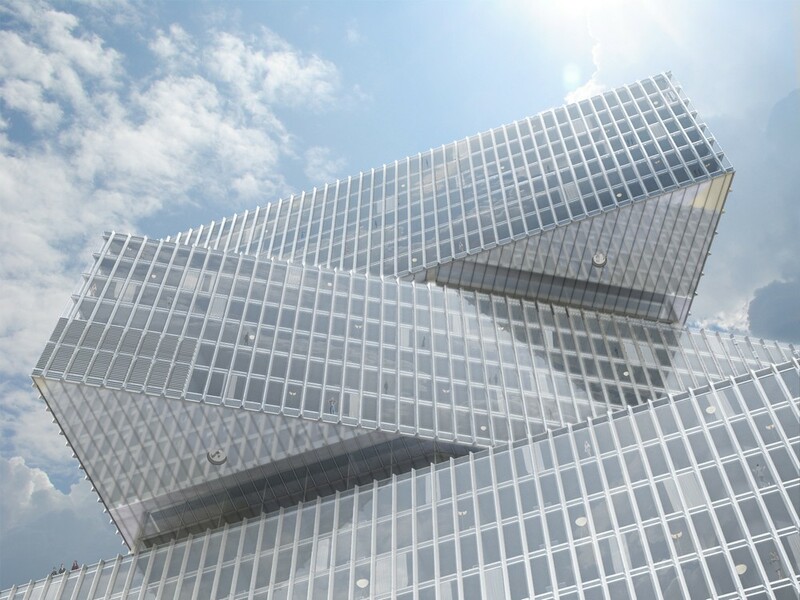 Other key architects with work in the city include 3XN Architects, de Architekten Cie., Benthem Crouwel, Rafael Vinoly Architects and Bennetts Associates. 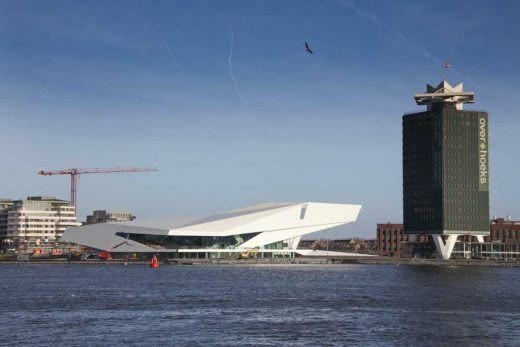 Amsterdam Architectural Tours can focus on historical buildings, contemporary buildings or a mixture of both. 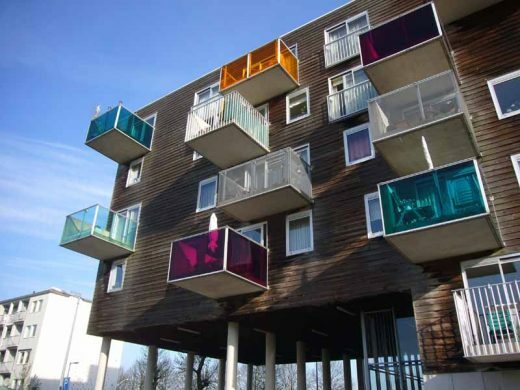 The Amsterdam Architecture Tour is typically an introduction to the city’s newest buildings, but it can be tailored to your group’s interests, for example social housing or retail interiors. We can provide limited advice for Walking Tours of Amsterdam about types and areas of buildings. Our guides for the Amsterdam Architectural Tours should be able to meet your needs and interests. We can provide information on programme, geographical areas and building types up to a year ahead of your architectural walking tour. 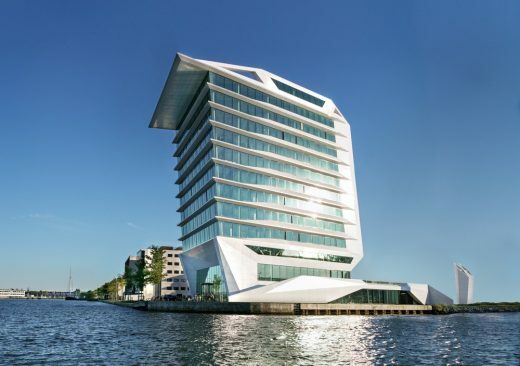 For example a group of architects interested in innovative Dutch housing or office buildings could be provided with tailored information allowing an architectural tour programme to be agreed prior to their visit to The Netherlands. You can visit DeFlat Kleiburg, Apartment Building, Winner of the Mies van der Rohe 2017 Awards, by Dutch architects NL Architects. Our guides typically meet visitors at the starting point of their Dutch walking tour, but by request might be able to meet them from the airport or their accommodation. We can also do combined tours with Rotterdam, the other major city in The Netherlands. e-architect also organise architecture walking tours in other cities such as Copenhagen, Edinburgh, Berlin, London, Glasgow, Barcelona, Oslo and Paris.